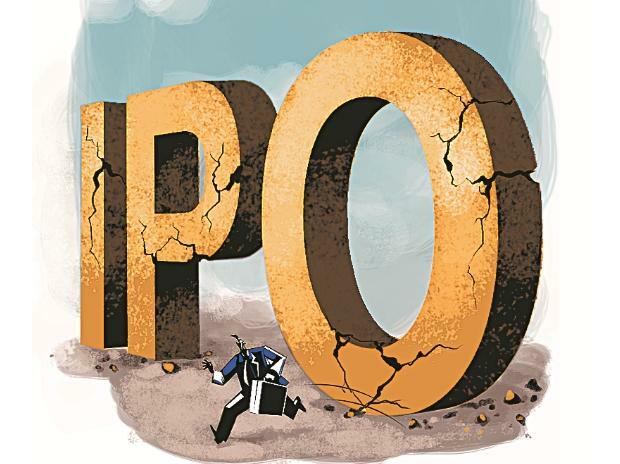 IPO launches fell in last two pre-election periods, will 2019 be different? Diagnostic firm Metropolis Healthcare, which is launching its Rs 1,200 crore initial public offering (IPO) next week, is open to making further acquisitions in this space. The company has used the inorganic route to growth in its initial years and made around 25 acquisitions in the past 18 years. Sushil Shah, chairman of Metropolis Healthcare, said if a good acquisition opportunity came up, they were open to evaluate it. “We are growing at a decent pace and generating good free cash flow. With the IPO, around 50-60 per cent debt at the holding company level would be gone. It is also easier to raise funds when an entity is listed. Therefore, as and when a good opportunity comes up, we would be better prepared to crack the deal,” he said. The Rs 650-crore company is focussing on business-to-customer (B2C) expansion in the coming years and would need to bolster its retail presence. “We have made several acquisitions in the past. These have all been leaders in the markets where they operated. It helps to make a strategic entry into a market,” said Ameera Shah, daughter of Shah. She said that from a 43 per cent share of revenue from the B2C segment, Metropolis was targeting to take that up to 60 per cent in the coming years. According to Frost & Sullivan, the Indian diagnostics market was valued at approximately Rs 59,600 crore in the financial year 2018, and is projected to grow to approximately Rs 80,200 crore by financial year 2020, driven by favorable changes in demographics, improvements in health awareness, increased spend on preventive care and wellness, increase in medical tourists, increase in lifestyle-related ailments and rising penetration of insurance in India. Organised players control a very small portion of this market; about 10 per cent according to industry estimates. Ameera said that of the approximately 100,000 pathology laboratories in India, almost 90,000 are run by technicians, and the remaining by pathologists. "There is huge scope for consolidation in this sector," she said. Metropolis has been clocking a 16.3 per cent revenue CAGR and has a 28 per cent ebitda margin with 50.2 per cent ebitda to free cash flow (FCF) conversion. The return on capital employed (RoCE) is also decent at 64 per cent. Its FY18 profits stood at Rs 109.7 crore. The earlier acquisitions were mostly funded through internal accruals and as Ameera said going forward the company does not have huge capex requirements. "The productivity per laboratory has improved over the years and we have the infrastructure in place for future growth. We would not require huge capex to fuel our growth ambitions," she said. The company has been on a rapid expansion trajectory in the last few years - about 75 per cent of the existing touch points were added between 2016-2018. About 90 per cent of the incremental individual patient touch points added in the last two years were through third party arrangements, thus not requiring heavy investments on the part of Metropolis. At present, it draws a significant chunk (57 per cent) of revenues from the business -to-customer, which comprises hospital outsourced pathology tests and institutional sales. It has presence across 173 cities, with a strong presence in the western and southern markets. Metropolis might take the inorganic route to strengthen its presence in the North (a stronghold of its rival Dr. Lal Pathlabs) and East. Ameera said that the company's focus would be on 13 cities which drive its business. At present, it gets around 63 per cent of its business from cities like Mumbai, Pune, Chennai, Bangalore and Surat. It had taken the partnership route to spread wings overseas, which, however, did not work. "We sold our South Africa business eventually as the market was growing at low single digits. We now have presence in many African countries like Kenya, Ghana, Zambia etc," Shah said. There are no plans to enter the South Asian market as of now as it has established diagnostics players. US-based private equity player Carlyle Group is selling some of its stake (around half of its 31.2 per cent shareholding in Metropolis) through the IPO. At the upper end of the price band (Rs 877-880), the total share sale (including Rs 6.2 million shares by promoter Sushil Shah) would be worth Rs 1204 crore. Carlyle is expected to fetch around Rs 652 crore or so.